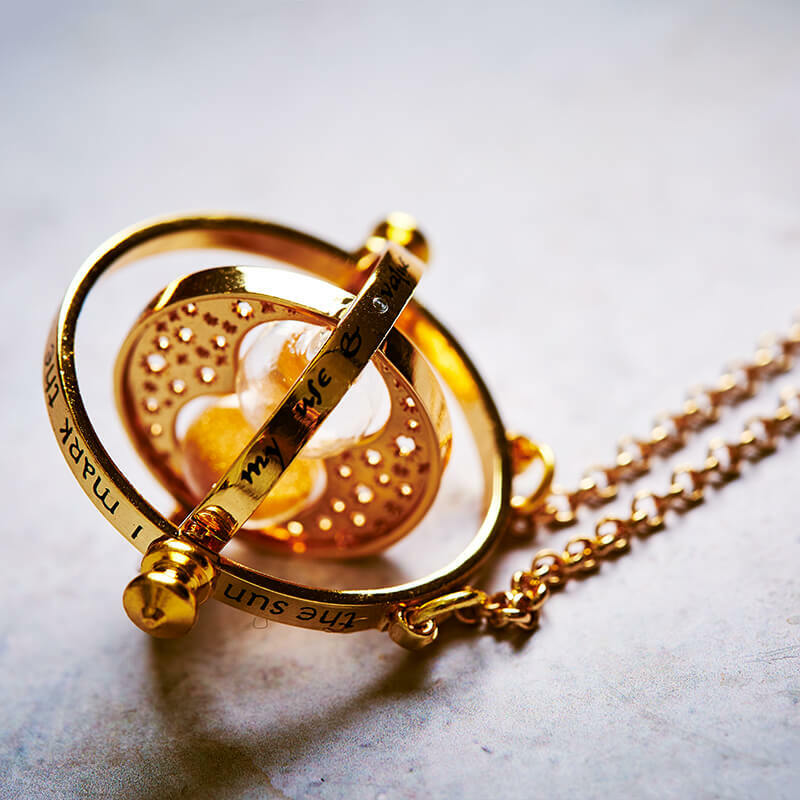 Make like Hermione Granger and turn back time with this gorgeous gold necklace for Harry Potter fans! We're really into all things from the world of Harry Potter at the moment with our recent review of Crimes of Grindelwald which is at cinemas right now and our audio book review of Fantastic Beasts: The Crimes of Grindelwald -- Makers, Mysteries, and Magic. And if that's not enough we have a review of our recent trip to the Harry Potter Studio Tour in London. You would think there's enough magic right there to please any pure-blood but we've also come up with another gift idea for Christmas and of course it's Harry Potter themed. 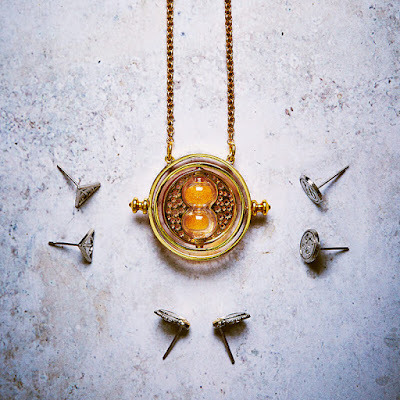 It's this beautiful replica of the hour reversal charm that Hermione Granger used in Prisoner of Azkaban. The necklace features a suspended hourglass charm including real grains of sand. Plated in gold, this luxurious and stylish gift has spinning elements within the inter-rings. It's officially licensed the jewellery comes with a branded card and has a Warner Bros logo on the back. Written across the rings is the spell: "I mark the hours, every one, Nor have I yet outrun the Sun. My use and value, unto you, Are gauged by what you have to do." Dress to impress and wear this spellbinding charm today from www.prezzybox.com.